The Kohler & Campbell Millennium Pianos are made of the finest, time-tested materials from around the world. 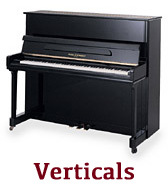 The Millennium piano incorporates all we have learned over the last 300 years about piano design. Its various components are crafted and assembled by the finest piano makers from Korea, Indonesia, Germany, Canada, and the United States. 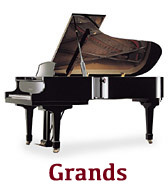 And because we are one of the world’s largest makers of grand pianos, we apply the economies of scale to make Millennium Pianos the most affordable high performance pianos in the world.